Christian Dior is an integral part of modern fashion history, but you've never seen the designer quite like this. In Girl in Dior, French illustrator Annie Goetzinger turned her eye for history toward one of France's most influential fashion luminaries. The result is a book of colourful, entrancing fashion illustrations that follow the rise of the famed designer through the fictional story of writer who becomes a model at Dior. “What I was attracted to was [Dior’s] love of excellence, not extravagance,” Goetzinger told W. "His designs still came from this idea of 'less is more.'" She definitely uses that idea throughout Girl in Dior, too, which is full of clean lines and lush colours. 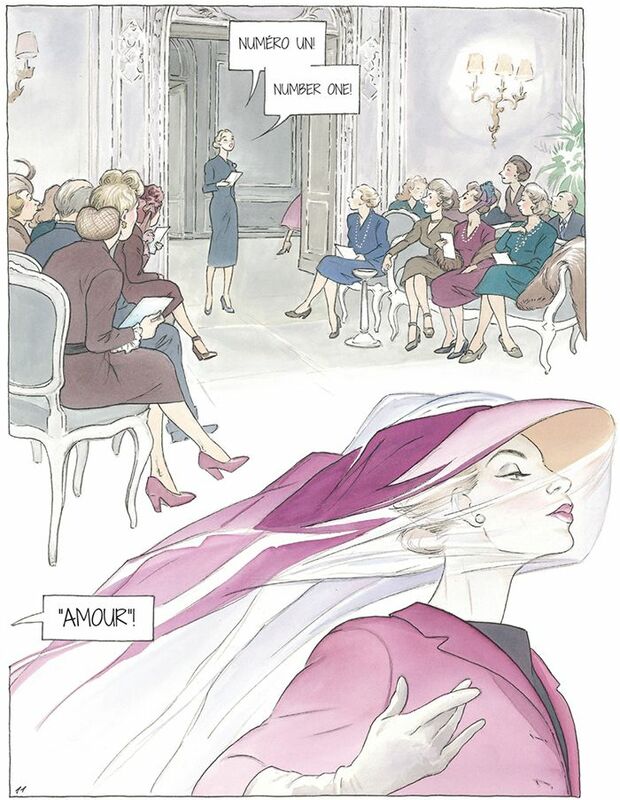 Scroll down to see illustrations from inside Annie Goetzinger's Girl in Dior! Grab your copy of Girl in Dior! Who is your favourite fashion illustrator? Tell us below!